Let's explore topics on nutrition, safety, legalities, retirement, relevant news, and more! Melanoma is type of skin cancer presenting as pink, white, or brownish skin spots with potential of spreading to other parts of the body. 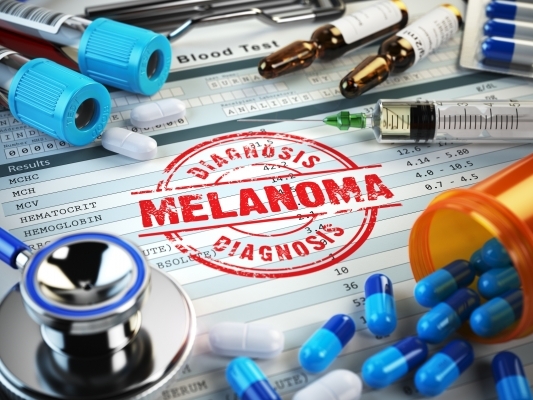 According to The American Cancer Society, melanoma is the most dangerous type of skin cancer. People with fair skin, moles, weakened immune system, family history of cancer, and exposed to ultraviolet (UV) light are more susceptible to melanoma, with UV being the greatest risk factor. Early detection and interventions are key in cancer control and prevention, with drug treatments proving effective in fighting melanoma. Keytruda is administered intravenously once every three weeks, and length of treatment depends on the individual’s health needs. Common side effects listed by drugs.com include: nausea, loss of appetite, diarrhea, constipation, rash, cough, joint pain, and tiredness. Emergency medical help is recommended if experiencing shortness of breath, palpitations, bleeding, kidney or liver problems, or changes in health status. For more in-depth pharmaceutical information, please visit drugs.com. For clients with advanced stages of melanoma this medication helps control growth and the spread of skin cancer. New pharmaceuticals with like drug properties are projected to be released in the near future. For now, Keytruda is promising for clients with advanced melanoma who were once unresponsive to other drug treatments. * All information shared in this article should be discussed with your healthcare practitioner prior to incorporating any suggestions. This article is for informational purposes only, and is not intended to provide advice or direct client decisions. Yeneilyn is a Registered Nurse in the state of Florida since 2006. Her nursing practice began in the field of Cardiology at Mount Sinai Medical Hospital and expanded to care for clients in the Intensive Care Unit (ICU). She was provided the opportunity as LPN Instructor, which changed the course of her nursing career. She states, “Teaching nursing students expanded my view on positive influences nurses contribute beyond beside care. Nurses are central leaders in health education, client advocacy, and disease prevention.” Currently, Yeneilyn writes health articles and prepares Continuing Education (C.E.) courses for healthcare professionals. She continues her studies in the field of Nursing Education and evidenced-based nursing practice. In her free time she enjoys sharing time with family and friends. © 2018 FIRSTAT ARIZONA. ALL RIGHTS RESERVED.